We have no contact point on Inworldz as it is permanently offline and its replacement grid not set up at this time. It has been 2 1/2 weeks since Inworldz went offline. The Elf Clan Eldar have been extensively researching grids to find a new home. The three central regions of Elf Clan are: ElvenSong, ElvenMyst and ElvenGlen. We have succeeded in restoring all three regions on a test area. That is very good news for our group, as it means our group history is fully intact. At this time we are working on setting up these three primary Elf Clan regions all together on our own servers. This is not something everyone can do, nor is even recommended at this time. We are doing so as a means of research... and so that Elf Clan members may know were still alive and kicking. Every Elf Clan member has different needs. Most of you have not yet received your OAR files from Inworldz, so you are not ready to choose a new home quite yet. Some of you may be enjoying just exploring virtual worlds with your friends. Maybe some have received their OAR files and are wondering what to do with them. We are working on that. In truth, it is too early yet to know what the future holds. However... the Eldar are working hard to determine what will work for all of our members, not just some. When you hear what we've been working on, we believe you will be excited. IF you need assistance of any kind, please contact us as listed above. If you're content to explore for a while and just hang with your friends while the dust of Inworldz is settling, if you're waiting for your OARs and realize you don't need an immediate decision on anything... we encourage you to just hang in there and have fun. IF you have immediate need of a new home and you just can't stand it any more and you want to start building again, we recommend checking into Kitely or DigiWorldz as affordable, easy-to-use hosts where you can have a secure and functional home. Elf Clan is about to set up its central location, and we're soon to make a major announcement that will affect the very core of how Elf Clan operates. So hang in there. We will very soon now have something more concrete for you. Missing meshes? Avatars won't rez? Object won't rez? Note: this may cause some prims to look a little wonky, but at least they'll be visible. Some grids are recommending use of a different viewer to fix this issue. Elf Clan is still working to provide our group a future home. Just this week the Eldar attended official live conferences on multple grids to determine the state of virtual reality worlds as they exist today. * Those who want to wait for Inwordz to re-appear and continue there. * Those who have decided to return to "real life" and chuck virtual worlds altogether. For those who have returned to RL or SL, we wish them well. That is out of our jurisdiction. But for those who remain, we are trying very hard to find a solution that will satisfy everyone. It's like juggling cats, but over the years the Eldar have learned to become prettty good cat jugglers. Until Inworldz makes its decisions, we are without full information. There is a deadline set (August 15, tentatively). At that time Elf Clan will likely go with the information we have on hand. Until then we encourage: if you wish to remain with Elf Clan, sit tight, be patient, wait for further information. Because this is the reality: There is no rush. Except of course for the Inworldz decision-makers. They may need to get on the stick and let people know what they have in mind for re-structuring. Our observations: it seems the day of the $75-per- region closed-wall grid concept is a bit outdated. We have undeniable results on what a closed-wall status did to Inworldz. It lost hundreds of thousands (millions?) of dollars in purchased inventory, lands and creativity. Regardless of the reasons behind the crash-- it damaged Inworldz reputation. They are having to re-build from scratch. It would seem a grave mistake to refuse significantly changing their business model in today's highly-competitive environment. We must accept the facts: Inworldz was in decline before the big crash, while other grids were slowly growing. In the opinion of Elf Clan: Inworldz mode of operation needs to change for it to once again become a viable grid with a future. Elf Clan members, please bring this post to the attention of your friends. If you're not an Elf Clan member you may wish to read this anyway. It's important. Friends, please be aware that the Eldar are extensively researching grids, including Inworldz, in an effort to decide on Elf Clan's next home landing in an informed manner. Unless you have operated a large group and managed multiple regions, you may not be aware of all the intricacies of moving to a new location. When we moved to Inworldz it was basically the "only game in town". That is no longer the case. People have a number of choices. Some people are already making those choices... often without fully researching grid policies. Be aware there can be hidden issues that you will not discover until too late. If you make a move now, before Elf Clan has concluded our research and announced our findings... you may come to regret that decision in future months. To date the Eldar have examined several prominent grids. We find most of them run very close in initial costs and land allowances. It is the fine print that will get you. We try to read all the fine print. Have you? One grid was excessively slow and buggy. On another physics didn't work very well (no cars, ships, etc). Another one had hidden costs. Another had add-on costs. Etc etc. Be aware that every grid is operated under a different busienss model. It's a mistake to believe that all grids are equally capable. That's why the Eldar are doing our homework. If you enjoy Elf Clan, we ask you to keep an eye on this blog. We have been in the virtual world business for a very long time. We know many of the pitfalls to look out for, the things to watch out for and avoid. The Elf Clan Eldar are taking our time and patiently examining multiple grids because the pitfalls are many... and we wish to make a wise decision. Everyone has personal needs; we are trying to find out which grid meets the greatest needs for the greatest number of people. If you wish to continue as an official land-owner in Elf Clan, if you love our lands and concepts and wish to make a good, informed decision... please be patient. Wait for further word from the Eldar. Or go wherever you choose. We all must make our own decisions. May you all be well. One day after the shutdown of Inworldz Grid. Greetings to all! No fancy Elvish language, no role playing today, just straight answers to common questions. I'll try to be brief, but there's only so brief one can be in these circumstances. #1. Point Elf Clan members to this website for regular updates. This is where the primary information will be distributed. #2. Please patiently wait and give us time to re-group. We are researching, examining, collecting data, and are in constant communication. We are already talking to grid owners. We are waiting for Inworldz to reveal its plans. We promise when we have an answer, you will be the first to know. You may of course set up a new home somewhere else, right away. However if you do...chances are you will become too entrenched and invested to follow Elf Clan when we make our decisions. If you love Elf Clan lands, if you enjoy our family-friendly group and concepts, if you have been a member for years and wish to remain with us... then we encourage you to have patience and wait. These things take time. We need to research, examine all information, and make wise decisions. We're sure you don't want us to rush into something and regret it later. Please realize this was a "freak accident". Yes, Inworldz made bad decisions and management errors were made... but this was a stack of dominoes that started falling. Things could have been done, should have been done, but that is all hindsight. You are aware Elf Clan itself had nothing to do with all of this. We were caught just as off-guard as anyone by Monday's announcement that Inworldz would close in 4 days. We had no advance warning, no "inside information". We had to scramble and put out fires just like everyone. We were just as blindsided as you... the difference being that we've dealt with such before. We knew what to do and started immediately guiding our members in methods of salvaging as much of their creations as possible. We were online hours a day answering IMs and posting instructional information. We were there for you, and still are. So it is left to us now to pick up the myriad pieces and figure out how to put them back together somehow. Such needs are being addressed even as you read this article. WHAT IS ELF CLAN GOING TO DO? To be straight with you: we don't know at this time. It's been less than a day (as of this writing) that Inworldz shut down. We simply haven't had time to research the matter properly, explore other grids, gather information. We've spent the last 4 days like you... just trying to save as much as we could and help others do the same. Add to this the fact that Inworldz itself doesn't know exactly what it is going to do... and we realize we all need to just take some time, sit back and breathe, and wait until the dust settles. When Elenia has answers, she has promised to tell us. When the Eldar have all the information we need, we will post the results. Member feedback and suggestions are being collected and eventually decisions will be made. Chances are you will find the outcome even better than it has been for the last eight years. That is our current goal. We like to believe that is everyone's goal... including Inworldz. No one is happy about what happened (at least, they shouldn't be). We can work together and move toward an improved future. 1. REAL LIFE. Discover a real life hobby for a couple of weeks. Learn something new. Catch up on some movies. Read a book or two. Take this break time to enjoy real life. 2. VIRTUAL LIFE. Other grids are welcoming people with open arms. Visit. Explore. Find your friends. Make new friends. Virtual worlds did not die with Inworldz... just the one we made our home. That home is gone... so visit friends at theirs. Virtual life goes on. One thing we don't recommend is to make an immediate, knee-jerk decision based on "what you've heard" about other grids, and wind up settling somewhere you may not like later on. Rather than making impulsive snap choices, it may be time to sit back, take a deep breath, and relax. IS THIS AN ELDAR DECISION OR A GROUP DECISION? Both. Are we going to take a "group vote"? No. That would be logistically unfeasible since we are now spread out all over the place, and "voting" is never how Elf Clan has operated. We have always been managed by the unanimous decisions of four Eldar and the Elf Clan Counsel-- people dedicated to the good of the group as a whole. To be honest: individual members don't know everything about how Elf Clan runs, our group goals, or intricacies of operating a large group in a virtual environment. The Eldar do. We literally wrote the book on Elf Clan... a book that is now 13+ years old. So in the end... this will understandably be the decision of the Eldar. HOWERVER... that doesn't mean you aren't involved. You can be very much involved in this decision. Please feel free to send suggestions, information and feedback to Wayfinder Wishbringer or Eren Padar on Second Life in NOTECARD FORM (so our IMs don't cap out. Please do not IM. Send a NOTECARD). We will be paying close attention to each notecard. Then let the Eldar do what we do best and make the tough, informed decisions. That's what we're here for. Then when we do, you can make your individual decision. That is your right. We wouldn't want it any other way. DID WE MAKE A BAD DECISION WITH INWORLDZ? No. Elf Clan thrived on Inworldz... for eight years. We would be thriving still if it hadn't nose-dived. The decision to move off of the ultra-restrictive SL platform to Inworldz was, at the time, a good and wise decision that helped our group grow to larger, more productive and more beautiful than at any time in its history. No one could have foreseen what happened over this last week. The decision to move was good. Elf Clan lands blossomed as never before. Sometimes despite the best of decisions... stuff just happens. The offal strikes the rotary oscillator-- and all we can do is clean up afterward. CAN THE ELDAR GIVE US ANY HINTS? Yes, in fact we can. We plan (at this time) a total re-structure of how Elf Clan operates... a better model. We can do this because we are no longer restricted by the Inwordz model (which really, was pretty flexible, but limited). SECOND LIFE. When we were on Second Life we were restricted by grid rules and costs to two full sims and 6 "open space" sims . That was later reduced to 2 regions when Linden Lab price-gouged everyone. Because of very unfriendly LL policies, those lands had to be owned by one person and rented out on a parcel basis. We only had 15,000 prims per sim to work with, which severely limted those rentals. Because of Linden Lab lax security policies we had to train an Elf Clan security force and had to constantly be on guard against griefers. Plus we had to constantly deal with Linden Lab itself-- which was often a very difficult company to deal with. It was very restrictive and stressful. Elf Clan thrived, but under strict limitations. No one owned their own region. INWORLDZ. When we moved to Inworldz, wow, what a difference. Region prices dropped from $350 a month to $40 a month. While all the lands still had to be "owned" by one person to get that discount, we were able to sell sims to individual members... at the same price we paid-- no profit asked. As a result instead of one region owner renting out parcels, we wound up with some 54 privately-owned, amazingly beautiful regions. This allowed us to have sub-groups... role playing, market groups, families, even the Gypsies... a subgroup that wasn't quite theme but fit in rather nicely with Elf Clan's concepts. For the first time our members could really breathe, and we as Eldar were able to extend far greater freedoms than the restrictive environment of Second Life. Instead of Elf Clan being strictly managed by four Eldar, we became a group where each region pretty much was self-moderated, managed by the region owner... and the Eldar found ourselves blissfully taking a back seat. Elf Clan had grown up, matured. Inworldz is what allowed that. For those 8 years, we are grateful. NOW. Inworldz has dissolved... and with it our land holdings . What will come next? We're not sure, but one thing the Eldar have determined is that Elf Clan is going to expand and simplify. This means we will be taking significant steps to extend our member's options and freedoms even more, to make it easier to own lands, to make it easier to work within the group, to make your virtual life more open, fun, and rewarding. The last 8 years were pretty great. We intend the upcoming times to be even better. We can't go into specific details because right now all we have are "possible ideas". But the possible ideas are... well let's just say you'll want to stick around and see what happens. When we finally announce our course of direction, we believe you are going to be very pleased with how much easier things are going to be in Elf Clan... more varied and fruitful than ever before. "Oi'm not dead yet!" Elf Clan (as with all Inworldz members) is beaten, battered, bruised, but still standing on our feet. After all, you're reading this web page, right? If you look around, you will find the Elf Clan group registered on several grids. Join each one! There is no rule saying you can't be a member of Elf Clan on multiple grids. Soon we are going to choose a grid. Will it be a revised Inworldz? Kitely? DigiWorldz? Discovery? OSgrid? We can't say at this time. But go to any of those, SEARCH GROUPS, and you will find Elf Clan. It's open/free join. Please join us... everywhere. You will be hearing from us again. And please check back here regularly for further announcements. We are in highest hopes you are really going to like what you see come out of this. What About Elf Clan's Future? THE FOLLOWING ARTICLE IS RETAINED AS ARCHIVAL INFORMATION. As of August 1, 2018 Inworldz has already shut down and much of the information below is already out-of-date. See end of this blog for the latest information from Inworldz. This blog is being written over the next 3-4 days. Please return for additional information. As many are aware, Elenia of Inworldz has just announced the intended shutdown of Inworldz on Friday, July 27, 2018. This gives members less than 4 days to figure out what to do with their creations, where to move (or if they're going to continue with virtual worlds at all)... or to see if what Elenia has stated will indeed come about and Inworldz actually go offline-- or something pull it out of the can at the last minute. Be assured the Elf Clan Counsel is aware of these things and we will be discussing it over the next few days. Even if Inworldz does close down on Friday, that doesn't mean Elf Clan has to make an immediate decision. We have time. However, realize that an Inworldz-based OAR file is very unlikely to reproduce your entire region on another grid. That's just the reality of the situation. If Inworldz shuts down and you continue with virtual reality, you will most likely need to re-build... a lot. If you can, use your FIRESTORM (or other) viewers to back up your creations to your hard drive. This will be a complex and time-consuming process, but the option is to wave goodbye to all your work. Some are deciding to do just that. In the meantime, we recommend calm and peacefulness among our members. We know this can be an emotional situation, but the truth is that most of us have lost major things in our lives. Some have lost loved ones, husbands, wives, children, parents. Others have lost all their belongings in a house fire, or their heath to advancing age or accident. All things are relative in importance. We accept the reality of that which we cannot change, and we move on. Peter Lioncourt is the land Eldar. Please do not contact him regarding these issues unless your inquries are related to land. Things are going to be busy enough for him. However if you have questions, suggestions, recommendations (even involving other grids), please feel free to contact the other Eldar. Your voices are always heard. The tiny community has long been associates of Elf Clan. It was recognized early this day that we wish to retain that relationship. It would be of benefit if Elf Clan and the Wees-- if we move to a new grid-- wind up on the same grid. Discussions have already begun in that direction and a potential committees formed between the two groups. We expect perhaps a similar relationship with STAR TREK EXPERIENCE, who have been our good friends since the early days of Elf Clan. We will let you know when a decision is made. Again, your feedback, input and recommendations count. The Counsel is in charge of the final decision, but that decision will be based on group needs and advice. Every voice IS a voice. Please do not hesitate to IM us or send a notecard with your thoughts. Our very best wishes to all. * Don't panic, remain calm, don't take your creations offline. * Inworldz may go offline for a few days, but hopefully will be right back up. * They ask for time. It will take a few days to sort this out. * In short, contrary to prior announcements, Inworldz isn't necessarily going offline permanently. However, understand these statements offer no guarantees. We have no hard evidence that Inworldz will be online Friday or Saturday. So if you hold creations on Inworldz dear, do all in your power, with whatever tools you have, to copy these items to your hard drive. Unfortunately available tools for doing so are hindered by permission / ownership issues and are often unreliable. That is the pox of economy-based virtual worlds. We will wait with the patience of Elves and see what happens. If Inworldz goes offline, then we can figure out what to do from there. Both the Wees and Star Trek Experience have expressed desire to work with Elf Clan in finding a mutually-acceptable grid should Inworldz go offline. There is strength in numbers when bargaining for new lands. Three large, well-known groups have more bargaining power than one. Of course, Elf Clan would change dramatically. We will see what results over the next week or two. Most of Inworld has already shut down. As OAR files have been saved, individual regions have automatically been taken offline. 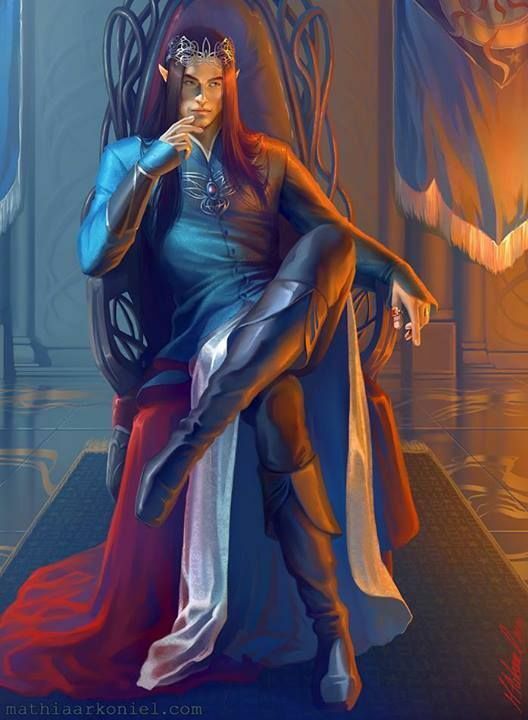 The Eldar of Elf Clan have decided to take a breather, be patient, and take our time deciding on our next step. Will Elf Clan be reborn elsewhere? Will it be a full group or at reduced concept? Should we close it down, satisfied with a glorious 14-year run? All of these options and more are being considered. The truth is, we have no answers at this time. Inworldz has stated it will be re-opening as a "new" company, and pulling in regions from saved OAR files. However... all inventory will be lost. Does Elf Clan want to rebuild.. yet again? We have have received mixed reactions to this. Some want to rebuild. Some say absolutely no. Some express misgivings and lack of trust in Inworldz itself. So there is a diversity of opinion. All those opinions must be considered and weighed. The Eldar invite your feedback. You can contact Eren Padar or Wayfinder Wishbringer on SL, Snoots Dwagon on OSgrid. PLEASE USE NOTECARDS, NOT IMS or you'll cap out our IMs. Write your thoughts on a notecard, send it over. It will be considered. Opinoin-based IMs will be deleted. NOTECARDS please. We plan to make a decision within 2 weeks or so, depending on how quickly Inworldz gets rebuilt, what their price struture and fees are, whether it's the best deal for our group. Realistically speaking: as of this day we have lost a total of some US $150,000 in investments in Inworldz. That's a pretty hard sock to the jaw and cannot be ignored as we choose where to land. Trust once lost is difficult to regain. Right now things are up in the air, so Elf Clan waits for the smoke to clear. We wish to make a valid and well-studied decision. Such things require time. Thank you for your patience in this matter.